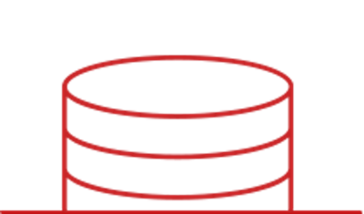 Aerospike Database is a Key-Value Store and high performance real-time NoSQL (flex-schema) database. "A SOLID, High-Velocity Key/Value NOSQL Database "
Metadata was using a traditional NOSQL database based on open-source technology, but we experienced challenges with scale and speed as our database grew. We selected Aerospike to replace MongoDB due to its the ease of use, simple configuration and high velocity reading and writing. Along with the easy client development and support for async requests, we managed to boost our profiling algorithms and run twice as fast, enabling us to serve more customers in a shorter amount of time with even leaner hardware resources. Switching to Aerospike broadened our capabilities and has helped support our company growth. We recommend Aerospike to any software company looking for a solid key/value database that is scalable, super fast and commercially ready. We had no problems / issues installing or integrating Aerospike into our solution and architecture. Their documentation made it easy and we're experiencing no issues scaling it. Read the documentation, talk to other users- make sure to set the best foot forward with the implementation and you're up for a sweet ride. Our major challenge was to support our exponentially growing database without sacrificing on our platform speed nor purchasing significant more infrastructure. The results were Aerospike were amazing as we were able to more than double our performance while keeping a lean cloud infra. "Aerospike scale is amazing and great support"
Aerospike's performance is by far its best feature. It is the biggest reason to use the technology, though the clustering aspects also are quite stable and simple to manage. Documentation on aerospike site is generally good but occasionally there are articles which are obsoleted with newer versions, but do not denote that. This can lead to assumptions being made at a point in time only to later realize the info is out of date. The changes in eviction algorithm is a specific example of this. Make sure to see what Aerospike can do on physical hardware. That's where performance shines. The performance advantages or economics may not translate as well to the cloud. We require low-latency access to huge volumes of data. Hardware needs to be able to fail or be taken down for maintenance or software updates. Aerospike gives us both of these aspects. What Key-Value Stores solution do you use? "Aerospike the nosql key-value database on steroids"
I've tested Aerospike  and other nosql databases when we were looking for a viable alternative to what we had as we were reaching its limit. What I liked in Aerospike is that you can easily confirm the exactitude of the performance claims, which is not the case for most commercial products. Also, in contrast to usual databases, there is no need to define sharding (i.e. how data will be fragmented on the different nodes of the database) or replication parameter (i.e. the number of node on which your data will be replicated so that you don't loose anything in case of node failure). These parameters are essential but as a developer you don't have to care much about them as Aerospike will do. Also, Aerospike gives you the choice between in-memory storage (e.g. to cache user session data) or SSD disk storage (for durability) without any compromise in performance. It has a powerful query language, and enable users to define custom aggregation functions based on the Lua programming language  which is very flexible especially when it comes to define business related aggregation algorithms. Above all that, it is an Open Source solution. We really liked Aerospike, but as our use case was about Aanalytics that needs running heavy read-only analysis workload on the database. In addition, our use case required one big write workload directly from Apache Spark RDDs (Resilient Distributed Dataset) that may consists of billions of rows and hundreds of properties. These use cases were sadly not the appropriate cases where Aerospike can be used as it's a key-value database and not columnar oriented. If what you need is a very low-latency access to single data, then you must consider trying Aerospike. If you are on AWS and look for an easily deployable key-value store, then you have to consider Aerospike as it has an officile AMI (Amazon Machine Images) that you can use directly from the marketplace. In contrast, if you're looking for a nosql solution to use as backend for you analytic workloads then Aerospike may not be the appropriate solution, but you can still evaluate it as this may evolve over time. We evaluated Aerospike among other nosql solutions for Analytics workload and we found that it didn't fit well with our requirements. But we realized how good it is when it comes to caching volatile data. Aerospike is easily configured. One simple config file (which must be the same across all nodes in the cluster) takes care of it. System recovers well on its own when a node fails. The AMC is a nice GUI with good at-a-glance info about the cluster. The Enterprise version is especially nice because it allows you to query and set parameters without having to use the command line tools. The support is also great, and the logging is fun (messages like "Now there will be cake" when the node is up and ready to ingest info, and "Now there is icing" when XDR is functioning. Some of the tools aren't very easily interpreted or easy to use. The syntax can be confusing, and at one point there seemed to be a gang of tools that did similar things so it was confusing to know which one to use for what purpose. Another issue I had was when I wanted to see some information about the kind of data we were storing, so I wanted to get a couple of rows so I can see what bins were being used, types, etc. I didn't want to select *everything* in a huge database, but there is no option to limit the output as there is with say, HBase. You have to use an external tool to do that. Also wish there was a way to do something SQL-like in terms of describing a row or set. Well worth reading through their documentation. It is thorough (much better than some other products) and contains a lot of little nuggets that will save you time. It pretty much walks you through considering how to scale out your infrastructure, how to set it up once you know what your resource needs are, and how to perform basic maintenance. The troubleshooting section could use some help, but the community forums are also solid. Make sure you take their advice regarding SSDs. A database that is faster than HBase, and replicating data to an AWS cluster to allow our web servers there to access the same information. "Blazing Fast, but Read the limitations before using"
Aerospike has everything you would expect from a Key-Value store. Blazing Fast Write and Retrievals, Asynchronous Updates, UDFs, MultiFetches And a Feature Loaded Java API. It performs as fast as In-Memory, when used with SSDs. This can be the go-to Database for all sorts of caching Requirements in your company. What surprised me was that, their update-modes and atomic Commands work like a charm. The non configurable Limitations like 14 char limit on Bin Name, totally defeats the purpose of using it for storing multi-bins, or json like data. We had to store the mappings separately, of the actual bin names to a 14 char truncated BinName, and use it at the time of Writing and also Reading. I used it as a product cache, for e-commerce data. Where various attributes of the products were to be stored against their SKUs. We chose it over Redis, for it's ability to store a record as Bins. The feature loaded Java API and blazing fast write-and-retrieval on the Primary Key made it fit for the requirement. "Very high performance, low latency, easy scalable storage"
Aerospike stores index in RAM, so it's really extremely fast. It uses the full power of the SSD devices to provide maximum performance and low latency for both read and writes. Aerospike is not just key-value storage. It provide you rich set of data structures, which allow you to flexible store and query data. Application does need not know where to send the data. Aerospike clients are cluster aware, so they automatically sends data directly to the node with the data. It allow you to easily build even large clusters. Not all flash devices can handle the high volume of transactions required by Aerospike Database. You need to use devices from the certified list: http://www.aerospike.com/docs/operations/plan/ssd/ssd_certification.html It's reasonable, but sometimes could be painful, because you need to benchmark nearly every device before using it in production. Also you need to carefully plan you storage. Aersopike store index in rAM, so double check that your data could fit into RAM. Just looks to benchmarks. 99% of queries lower that 1ms. If you need low latency storage - Aerospike is a good choice. Aerospike is a perfect choice, if you need low latency, easy scalable storage. It has good community support, so you always find answers to your questions. It's really important. "Aerospike is the clear winner in the field of clustered nosql databases serving millions of req/sec "
we had a special use key for our business where we needed a nosql clustered database which is highly available and must possess highly concurrent, low latency, transactional, small updates to billions of entries with ~10x more read than write volume. We ran a detailed review, analysis and benchmark of cassandra vs aerospike, these famous ones in that aspect- Aerospike was clearly the winner here. what our management loved most about aerospike was stable predictable performance with low latency and no hassle with maintanence. its so simple and effective to manage keys in aerospike that it actually turned out to be very cost effective and time saving feature of aerospike for our team. Cost can be a big issue for someone not so quite familiar with working model of aerospike. not saying its something wrong on aerospike end, but users need to be careful deploying their keys . The larger the keyspace of keys deployed with aerospike, the more expensive your Aerospike cluster will be from a hardware point of view because all keys are stored in memory whether its in memory or ssd form . this model is quite different than cassandra , since all keys and values are stored in hard disk. Aerospkie processes everything in RAM, meaning memory. so its very speedy and fast in processing of which you dont have to worry slightest. with that in memory fast processing, comes price as you grow your database. large scale, clustered, highly available, fault tolerant nosql databases are able to process billions of request per second. "Best Nosql Data Store which provides performance at scale"
1. With a peak of 300-400k TPS , 99% of a incoming requests is still finishing in < 1-2ms. I believe it is the fastest Nosql Data store till date. 2. Cluster Setup is very easy. 4. Easy to Monitor the cluster health and performance. 5. Enterprise Support is pretty good. 6. Version Upgrades is a very seamless process. 1. Migrations : Migration is an activity that comes into action to balance and redistribute data when a node goes down and leaves the cluster. It can happen due to network issues or system level bugs which results in a service down time on that server. It is an expensive operation as it directly impacts the performance with a spike in latencies. This is further complicated as even latest Aerospike version is not smart enough to understand the difference between a manual service restart and a node going down. 2. Namespace Addition Needs Downtime : Namespace in Aerospike is an equivalent term to database in RDBMS. We have many different applications which are using their respective namespaces in production. Any new namespace addition is not dynamic untill now and it requires a service restart on all nodes in the cluster. For better and stable production environment, we must have better control of all the key metrics that are critical and need special attention. As of now, we can monitor all the TPS at cluster level but we cannot deter- mine how many TPS are happening at namespace level. Also, there is no method by which we can isolate or put constraints at namespace level in terms of number of read/write activiities that can happen at any name- space. We have faced situations in production where TPS spike in one less critical namespace impacts the performance of all other namespaces. 4. IP tracking in Connections : Aerospike provides a security feature in Enterprise Version where we can enable security on our distributed cluster but we cannot track the client hostname or IP from where connection is coming. Having this will help us to narrow down our search to identify hostname which is generating too many connections. 5. XDR Limitations : XDR Replication is a feature available in Enterprise Aero- spike which allows us to replicate from one datacenter to another. But, it is not possible to enable any security while XDR is enabled in the cluster. Also, XDR can not replicate updates at bin level and it replicates the whole record again increasing inefficiency at network level. We are solving one of the biggest problems of mobile advertising industry. Scale of data is directly proportional to the number of smart phone devices across the world. Aerospike is providing us faster performance at a bigger scale to solve the larger problems of one of the fastest growing tech companies in the advertising world. "Aerospike is easy to maintain"
Unlike other NoSql products (... cassandra hint...) Aerospike is very easy to set up and does not have weird, unexpected behavior. UDF's are fairly difficult to write and debug, but if you have a few simple ones they are very valuable. The Java Client for Aerospike is very good. Indices and scans are fairly rudimentary. Unless your use case is purely a key-value store with a one-to-one mapping, this probably isn't the right database for you. Serving content to websites with high throughput. -Support large requests of read and write simultaneously. -Horizontally scalable. Server side clustering. Sharded & replicated data. Our business problem was as mentioned earlier was to support billion hits with minimal response time. The speed. We replaced a MongoDB with this and pound for pound, it was much faster. We performed a couple month evaluation of this versus a few alternative databases. We ended up picking Cassandra after all was said and done because the support was better at the time. It looks like now though Aerospoke has a pretty solid enterprise support plan. I didn't have anything that I disliked overall. Know the trade-offs that Aerospike or any database vendor has made prior to biting the bullet. We almost pulled the trigger on this one just to find out that there were some pretty significant issues in the waiting. I believe that they have since fixed some of the issues noted if not all. Given our criteria though, we were unable to select this store, no matter how fast it was. "Promising, but clients not mature enough"
Aerospike is pretty fast. One of the fastest - and easy to configure- tuple-based db. It has great use cases like caching service or storage for small ugc objects. It scales easily and performs like magic on SSD drives! The methods are generic and you find all the options you look for in a database. There are clients written in almost every popular languages. The support is pretty good, documentation is available and community managers are friendly and helpful. The clients - especially the node one- have been half-assed. There is no JS implementation for the node one nor post-install script to get the binaries. Logs were thrown in stdout freely and DB options were not available. It's a real pain for DevOps teams. I've seen a lot of progress though since I sent my recommendations. Make sure to subscribe to their forums. They have a very active and friendly community. I'm confident that they get solid client implementations by Q2-Q3 2016. I think it's still worth it to simply try it and benchmark it within your application, see the gains you'll be getting. We needed a caching database or technology, so we decided to try out Aerospike. This was summer of 2015. We did not have time to prepare our DevOps team, start fiddling to add stuff and patching the unwanted stuff out. So we went with a safer bet. During our tests though, we noticed a great increase in request speed. "Aerospike is the best key-value store of all time." Data can be held on-disk (as well as in-memory) and Aerospike still performs incredibly fast on a single node. This is huge. I can't stress this enough. The Go library isn't well documented in some areas (especially errors), and while Aerospike's documentation is great, it still needs some work. If you need a really fast key-value store for caching, Aerospike is my recommendation. It's so fast on a single node, you might not need another one. Caching large data-sets, I prefer not to hold everything in RAM since RAM is expensive. Aerospike lets me hold my large data-sets on SSD and query them amazingly fast. "Aerospike - A high throughput, low latency distributed nosql datastore"
Simplicity of the architecture. Ease of Operations. high concurrency,low latency,high availability achieved with its robust architecture. Minimal featureset to support growing needs. If you are looking for high throughput, low latency ,high concurrency ,nosql distributed database cluster, aerospike fits the criteria and deserves an active test for your usecase. high concurrency concerns with webservice calls. Aeorospike and team delivered on performance requirements and exceeded expectations. Consistently getting 1-2ms latency on 1B requests per day. Custom hardware required to meet these demands. Some complexity on loads and space management. Definitely worth it to provide consistent high-throughput read-write capacity and maximize hardware investments. Focused product for meeting these high-demand tasks and worth it when you need it! Real-time integration into bid-stream. under 10ms latency requirements including network round-trip. Aerospike allows us to shave critical ms out of our transaction time. "Great product, cool features and worth to have a try"
easy to use. Not just saying, Aerospike is easy to config and setup. Using hash id as key distributes requests to the whole cluster and the cluster has NO HOT POINT. Adding capacity can simply resolves the throughput problem. Not like redis, Aerospike supports multi core by default. the tool is pool, including the web-ui, command line. cluster size is limited to hundreds. fast, scalable, stable, cost saving key-value store is the problem we are facing. we are still working on the poc and evaluation. "Explored as a candidate to be integrated in a centralized data source access library"
Having performance in mind I like the fact that despite its written in C it can be seamlessly used from the JVM which promotes its use in Big Data solutions. Key-Value databases are note the best fit for aggregation intensive requirements. Its DDL and query language is quite SQL Like, resembling somehow the one of C*. That makes it easy to adapt applications to use it. My experience using is limited to a spike on how to integrate it with the platform I've been working with. And I have used it with its default settings as found in the official docker image. "Easy to setup, not the best for my usage"
No (easy) way to "auto-increment" any integer value. No security at all on the Community Edition. Ask yourself this: is my application the only application able to access the servers? If not: am I willing to pay for the Enterprise Edition? If not: Aerospike might not be for you (security-wise). Other than that, Aerospike had nice performance. When adding items to the database, which just require any unique identifier, Aerospike is awesome. However, when you need a incrementing number as unique identifier, things start to get tricky. Performance is as advertised. With Lua, the flexibility becomes limitless. After a while, everything just works alright in the background, and I do not have to bother the guys. Best out there in terms of cost and performance. Am offering a messaging plugin. I think no other DB out there in the market can offer the same performance at that storage requirements. "Easy to setup and best key value store"
I dont have anything that i disliked in it. Ease of use, mgmt is easy, and also quick lookups based on keys. No direct export or import from hadoop. Have to write a mapreduce job just to load data into aerospike. Fast key value lookups needed, where others didn't work. We enjoy the reliability that Aerospike provides. Along with an ease of setup, it makes it a wonderful product. Not a ton of community support, most problems need Aerospike support to be fixed. The configuration enables you to choose the performance trade-offs that are acceptable. I was originally exposed to aerospike while working on a sub-second response time system (100 millis max). However, I used it a less-strict setting and it was still performant out of the box in testing (still haven't deployed to production yet). Make sure you consider what your final schema will look like. "One of the best commercial solution for start-ups"
Aerospike has rich clients in every common programming languages, and it has quite simple and easy to inject programming API. The license is expensive. The documents has to be more international and in many more languages. And I need more lecture to understand the principle of aerospike. We store of a lot semi-structed data crawled from websites. We also provided some api service with the help of areospike. Thank you for your review! You said you would like our documentation to appear in many more languages. What language(s) would you need them to be in, please? Regarding needing "more lecture to understand the principle of aerospike", are you aware of our training classes? We conduct training classes for developers and devops personnel in every time zone via in-person classrooms and virtual classrooms. Our training schedule is here: http://www.aerospike.com/schedule and classes are open to all users. Is there anything else we can provide to help you learn Aerospike? "Aerospike - Optimized for flash"
It is optimized for flash and has low latency. Most of their customers include Ad-tech and Fin-tech. It is master-slave architecture. The pace of developing new features is very slow. We have done a POC for an Ad-tech case. The customer had a lot of SSDs and Flash instances and it was the perfect case for Aerospike. I like it. documentation is also easy to follow. eBook: When, Where & Why to Use NoSQL? * We monitor all Aerospike reviews to prevent fraudulent reviews and keep review quality high. We do not post reviews by company employees or direct competitors. Validated reviews require the user to submit a screenshot of the product containing their user ID, in order to verify a user is an actual user of the product. Hi there! Are you looking to implement a solution like Aerospike?